This past weekend in Sonoma County was highlighted by the Lancaster Estate Release Party for their 2008 Estate Cabernet Sauvignon. The proprietors, Ted and Nicole Simpkins, aside from releasing a new vintage, have set a new standard for just plain fun at a vintage release party. Upon arrival C.P.A. Valet Services immediately set the tone for first class services with an attitude of fun and confidence. No worries about trusting your wheels to this professional crew!! 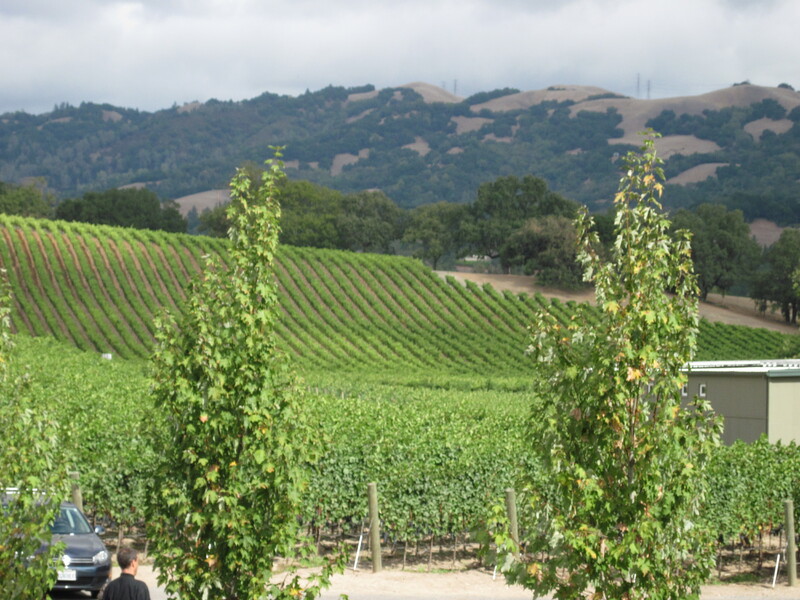 Lancaster Estate is located in the Alexander Valley American Viticultural Area (AVA) but is at the confluence of the Knights Valley and Chalk Hill appellations. It is so picturesque with rolling hills carpeted with estate vines composed of the classic Bordeaux varieties – Cabernet Sauvignon, Merlot, Cabernet Franc, Malbec and Petit Verdot. 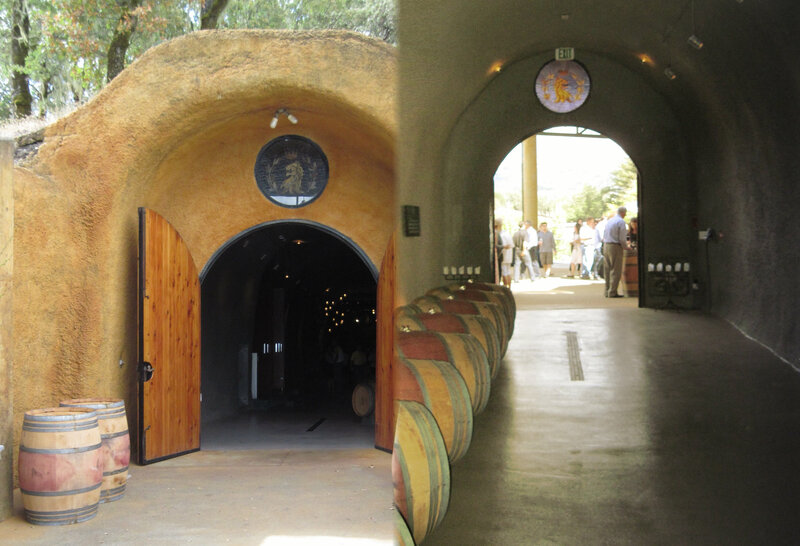 The dramatic and equally beautiful wine caves are built into the hillside. The caves are covered with a stand of oak trees with hanging Spanish Moss that makes it even more interesting in appearance. 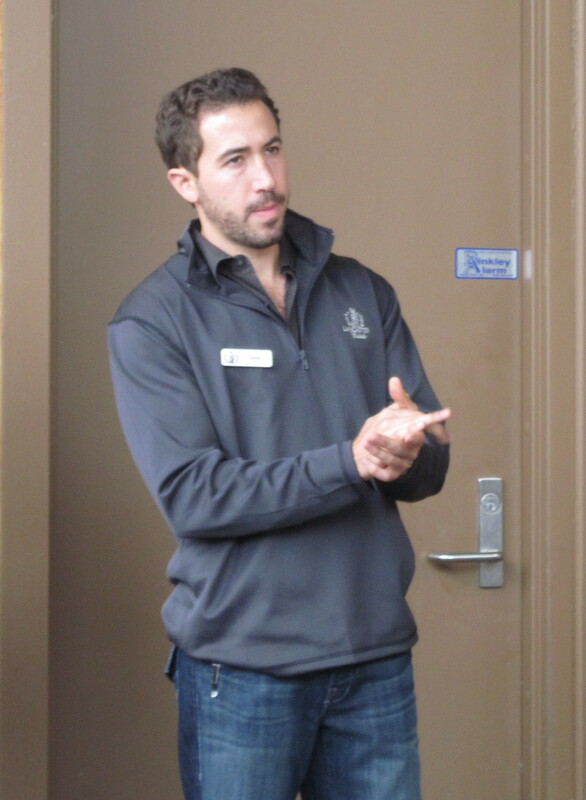 We were welcomed, by name, at the reception area by Emery, Lancaster Estate’s Director of Member and Guest Experience. It is always surprising when someone greets you by name even though you have only met them once. Emery was supported by Andrew who is the Wine Club Manager at Lancaster. Andrew is the kind of warm and welcoming human being who will not avoid you at the supermarket, but, in fact, goes out of his way to say hello. That has actually happened. As the afternoon progressed, it was surprising to see Emery popping up all over the grounds and in the caves as she kept an eye on all aspects of this party while engaging personally with so many of the wine club members and guests. The grounds were perfectly laid out with bar top tables scattered around for standing while enjoying the great food provided by Elaine Bell Catering. Starters included raw Hogg Island oysters which were accompanied by a crisp and citrusy Sauvignon Blanc (Samantha’s 2010), named after one of the Simpkin’s twin daughters. Truly a magical pairing on a warm and mostly sunny early autumn Saturday. How can it get any better than this? Read on! Moving into the caves, three separate tasting tables were set up for the three reds being offered. The 2008 Sophia’s (the other twin) Hillside Cuvee is so approachable, drinkable and rounded that it can be enjoyed all by itself or with food. At 97% Cabernet and only 3% Merlot it is amazing that it is a 2008 and not a nicely aged 2004. The Sophia’s Hillside Cuvee was followed by the 2006 Estate Cabernet Sauvignon. For fun and education, the ’06 Estate was offered from a 750 ml bottle and from a decanted 3 liter bottle. The difference was very noticeable in that the 750 ml pour was smooth and had a great mouth feel but the 3 liter pour was just that much smoother and supple. For the ‘size matters’ folks, when it comes to wine bottle formats, it appears that when aged in larger format bottles good wine remains more fruit forward and doesn’t change as rapidly as wine in smaller formats. Maybe it was a self-fulfilling prophecy here but that is what was found in this side-by-side comparison. Finally, the star of the party, the newly released 2008 Estate Cabernet. One word….WOW!! Perfectly balanced with intriguing complexity while very round and smooth. It presented wonderful fruit forward with a succulent and velvety mouth feel. It truly was the star. The Lancaster Estate Cabernet is always a blend of all five of the red varietals. For this 2008 vintage the blend was 92% Cabernet Sauvignon, 4% Malbec, 2% Merlot, 1% Cabernet Franc & 1% Petit Verdot. What’s remarkable about this Bordeaux style blend is the concentration and balance achieved at 14.6% alcohol. A real pleasure and the go-to wine for the rest of this day. After having sampled all the reds and the Sauvignon Blanc, food was clearly needed to keep everything in balance. Outside, with the vineyards as the back drop, Elaine Bell Catering, with operations in Sonoma and Napa, was serving perfectly prepared beef and pork grilled right on site. The make-your-own hanger steak fajitas were accompanied by a wonderful corn salad that made ones eyes smile and salivary glands weep. The pork loin was accompanied by a mango chutney and a wonderful fall combination of roasted carrots, rutabagas and other tasty root vegetables. There was a brightly colored beet salad that would make any discriminating mouth water and, unfortunately, send one back for seconds. Finally, the table dedicated to il Dolci was noteworthy in both the variety and the quality. A wonderful raspberry parfait in a perfectly sized glass parfait cup, a turtle-like candy made from chocolate, soft caramel and toasted pecans, cream filled puff pastries and mini s’mores!! In many restaurants and catering operations, dessert is an after thought or a throwaway, but not with Elaine Bell. 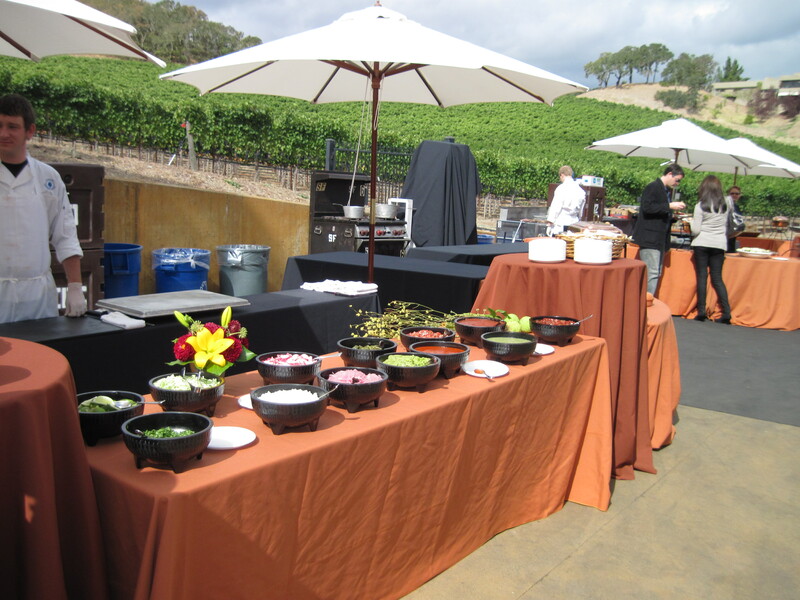 Elaine trained at the Culinary Institute of America and has been offering gourmet catering in wine country for over 30 years. Lancaster Estate outdid themselves with their choice of Elaine Bell Catering. While everyone was enjoying this grand harvest fare, Jesse Katz, winemaker at Lancaster since early 2010, mingled and made himself available to the guests and members. Katz, cut his teeth at Screaming Eagle and worked with Paul Hobbs in Mendoza, Argentina as well as other well known superstar winemakers. Here at Lancaster, working with consulting winemaker David Ramey, Jesse is coming into his own. Katz is also the winemaker for Roth Estate, Lancaster’s second label. This article would not be complete without recognizing the musical accompaniment! Levi Lloyd and the 501 Band played music from the 60s-80’s and they were a perfect match for the setting and the audience. The Band featured the familiar lead guitar, bass guitar, drums and keyboards but their sounds were anything but typical or run of the mill. Lead vocalist, Jim Wilson (aka Dee Wills) could just as easily cover the Four Tops, the Temptations, Sly Stone or Wilson Pickett while Levi’s wailing and sizzling guitar could be mistaken for Jimi Hendrix or Jimmy Paige. Adam Bernie provided the wide ranging keyboards and additional vocal power. 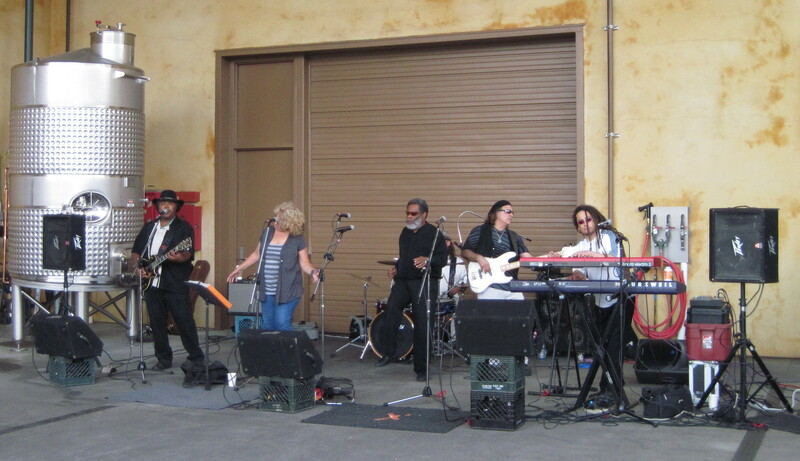 The Band was joined, for the first time, by female vocalist Laura Lee, who could channel Janis Joplin or Joan Jett with equal ease. What a powerful and dynamic combination of musicians and vocalists who clearly could be the leaders of their own groups (and some are). As this perfectly timed and executed 4 hour event was winding down, it was important to catch Ted Simpkins as he and wife Nicole mingled with their guests. One could not leave without complimenting them on this first class event made exquisitely better by their team of tasting room, event, winemaking and hospitality staff. We have met several of them since we joined the wine club and are continually impressed with the friendliness, knowledge, personality, warmth and personal engagement of Andrew, Emery and Damon, to name a few. At the risk of leaving others out, these three truly stand out and deserve to be singled out. Thanks to to them and, of course, Ted and Nicole, for hosting this wonderful “cannot miss” annual wine country event!! This entry was posted in Day Trips, Uncategorized, Wine, Wine Country, Wine Events, Wineries and tagged Alexander Valley, Sonoma, Sonoma County, Sonoma Wine, Sonoma Wines, Wine Country Experiences, Wine Country Living, Wineries. Bookmark the permalink.